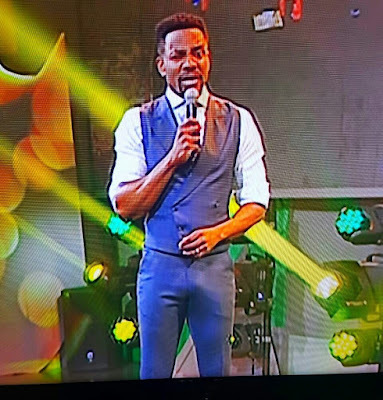 Big Brother Naija host, Ebuka Obi-Uchendu apologised after he showed up for the reality show's eviction night with a noticeable bulge around his waist and caused a meltdown. Twitter Nigeria had erupted and in minutes, Ebuka became number 1 trending topic because viewers couldn't see anything else. Ebuka said he and his lil man were sorry so they tweeted this apology and these reactions from Nigerians poured in.